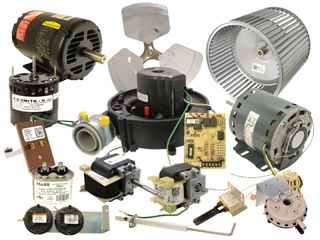 Find your genuine HVAC replacement parts online! Technical Hot and Cold supplies the world with air conditioning, furnace and chiller parts online for Carrier, Lennox, Goodman, Trane and others. With expert technicians online and over the phone, we can help you select the right part the first time with same day shipping on most items. Technical Hot and Cold's mission is to provide genuine HVAC replacement parts, helpful customer service and parts knowledge along with competitive pricing to customers across the world. Our customer service team is comprised of experienced technicians with extensive knowledge of the heating and cooling products offered on our site. We can cross reference model numbers and make the parts process simple and reliable. Browse our HVAC parts catalog to find the part you need or call us at (888) 828-8317. Come visit us at our parts department in Westland, MI. Public welcome. As Schimpke's only North American partner Technical Hot and Cold is your exclusively authorized Schimpke dealer for all of your Schimpke Chiller Information, Sales, Service, and Parts needs. Our parts ship from our own warehouse. Please note all orders placed after 1:00 eastern standard time will be processed the following morning. If parts are needed prior to this time please feel free to contact our parts specialists at 1-888-828-8317 to inquire about availability.